Handmade by our master Italian craftsmen. With a very elegant, neutral design and its natural palette, “Club” armchair is a wonderful addition to several room schemes. 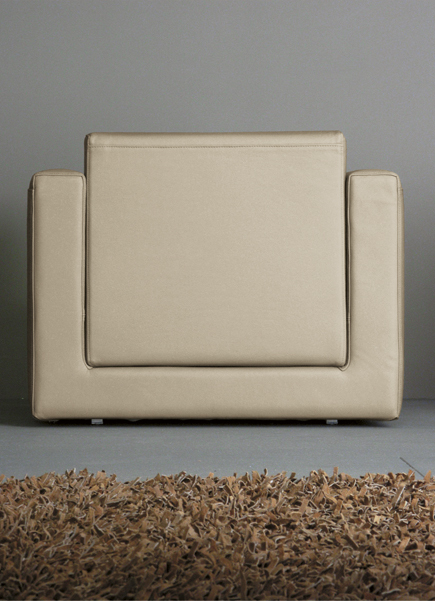 You can try to place it in your living room for a smart, discreet and yet sumptuous look or even in your bedroom. 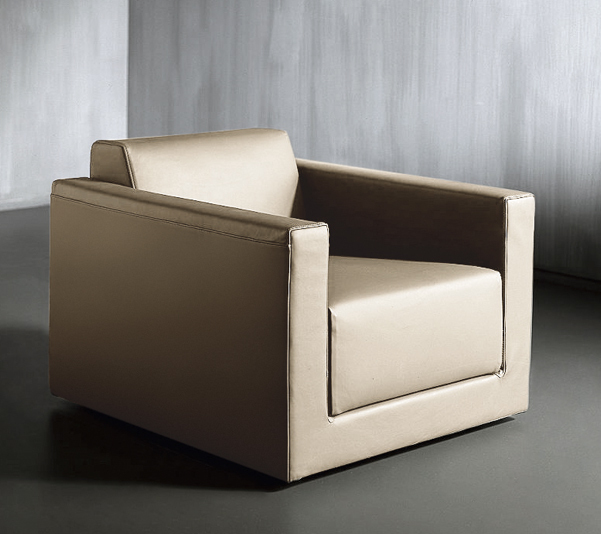 “Club” Lounge Armchair can also have excellent performances both in reception lobbies or as occasional Lounge Armchair. Fabric, genuine Leather and also Eco-Leather can be used as final covering. To selecte covering from our Fabrics and Leathers collection please register into TRADE AREA section and please pay attention to fill all information marked with *. You can also use your own fabric (C.O.M.) or leather (C.O.L.) and in this case we please ask you to send us a sample in advance in order to check if technically suitable. To check needed quantity please refer to “specification” below. Inox stainless steel or solid oak feet stained dark walnut or ebony color. On demand feet can be also lacquered with any RAL color. 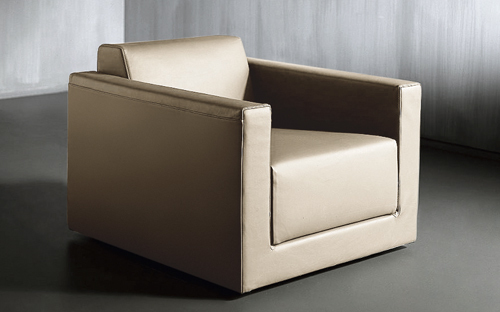 This elegant and clean shaped design armchair is the testimonial of modern and elegant luxury. Volumes are perfectly balanced and in perfect harmony. Its refined figure is created with a quality solid wood frame, which is glued, dowelled, reinforced by stainless steel screws. Frame is upholstered with multi-layer high resilience polyurethane foam and it is covered by a white color second double thickness protective fabric. As final covering we suggest our fabulous natural tone fabrics. 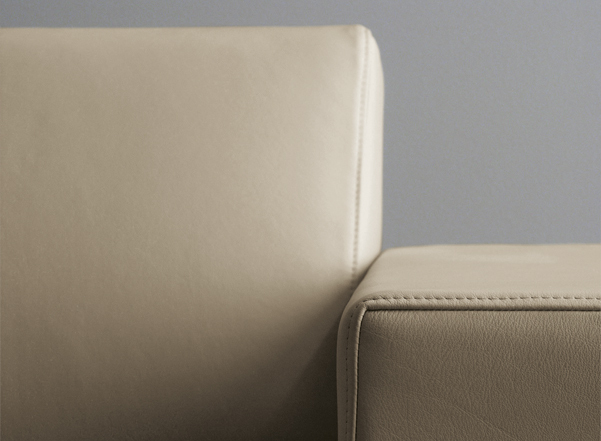 Otherwise if you wish to add to your armchair even more richness and glamour why not considering one of our genuine leathers? 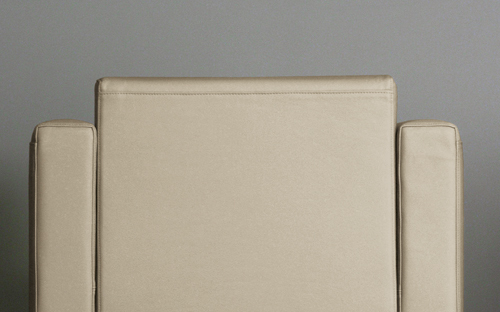 Seat base is filled with several densities of high resilience polyurethane foam, wrapped with fiber and protected by a white natural fabric cotton cover. Exactly same process and materials for the back support to offer best seat comfort and, last but not least, to ensure longer life possible maintaining original comfort. 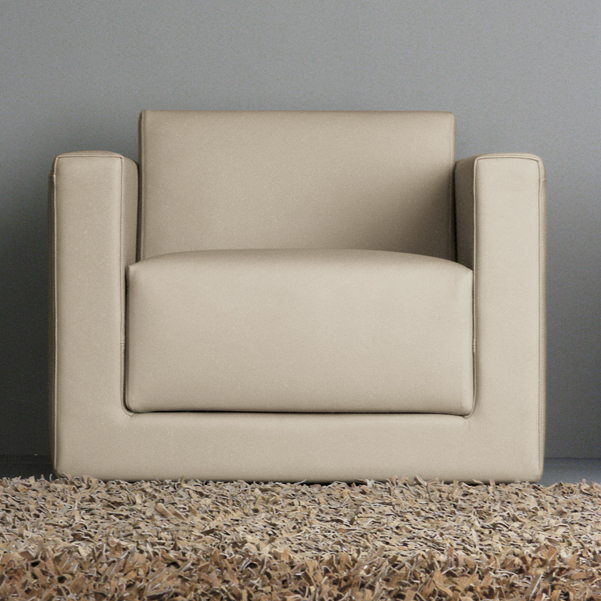 Clean and ergonomic design provides an irresistibly sumptuous spot to relax in. 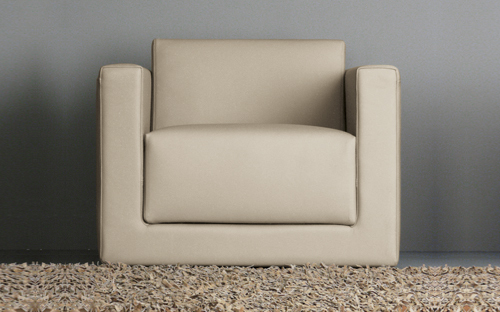 Armchair: W. 76 cm. x D. 85 cm. x H. 60 cm. Seat Height 40 cm. Fabric cover is removable for dry cleaning. Quite easy to remove it and to put it back. Washing fabric covers, please follow instructions you will receive together with your Lounge Armchair. 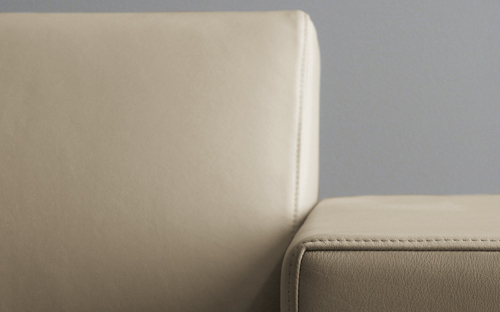 Our Genuine Nabuk Leather is rich, soft and naturally processed. Please avoid to expose leather to the sun light and also keep it away from heat sources. Surface is not protected by artificial substances and by using the product leather will assume a lived-in-look typical of genuine natural leather. We suggest dusting regularly with a soft and dry cloth.